Baptism is the foundation of Christian life and the gateway to the Church’s other sacraments. Through Baptism, we are freed from sin and reborn as children of God where we become members of Christ and His Church. Planning for this sacrament should begin by contacting the parish office at least three months in advance. Please do not make any formal arrangements or plans until a date has been confirmed through the parish office. Infant Baptisms are performed after the 11:30 A.M. Sunday Mass on every third Sunday of the month. Given a reasonable assurance that your child will be raised according to the Catholic faith, any child, at any age, is welcome to be Baptized. Should one of the parents not be Catholic, and are not married or are estranged, permission of both parents is required. In case of either separation or estrangement, a written and notarized letter of permission to have the child baptized is mandatory. If you are a local resident, we require the parent(s) to register as parishioners of Saint Vincent Ferrer. Please visit the parish office during business hours to complete a registration form and receive a welcome packet. In the event that the parent(s) are former parish members, but are registered elsewhere, we do require a letter of permission from the pastor of the parish at which they are registered. The parent(s) must attend a Baptismal Preparation Class which is offered on the second Thursday of each month if they have not attended such a class within the past three years. All baptisms in our parish are ordinarily celebrated by our pastor or a deacon or priest delegated by him. A sponsor or godparent is to be a witness, an inspiration, and an example of how a Catholic should live in today’s world. They are entrusted with the responsibility to be an active participant in the life of the Church and the person they are sponsoring. This means proclaiming their faith through their actions and the life they lead each and every day. Through their personal witness of prayer, active attendance at weekly Mass, and living the Gospel values, they pass the Catholic faith on to others. In this light, at least one sponsor must be an active, practicing Catholic who has been Baptized and Confirmed. For Baptism, a person of the opposite gender, who is a baptized non-Catholic Christian could be designated as a Christian witness. The required qualifications of a sponsor are stated in Church Law and it is the duty of the pastor to verify their eligibility. Most parishes, therefore, provide a specific form for this purpose. (Click HERE to Download the Sponsor Form) It is the obligation of the parish where the sponsor is registered, to verify that they are both an active and practicing Catholic. If the sponsor is not personally known by the pastor, he may need evidence to support that a sponsor is living a life of faith. This is usually provided by reviewing records and other verifiable sources such as involvement in parish ministries, volunteer time at various parish functions and offertory envelopes to verify weekly attendance at Mass. Please do not assume that a parish will automatically provide a letter without the ability to confirm a sponsor’s attendance, support, and participation. When should I start making arrangements for my baby’s baptism? It is never too early. Many families start planning for baptism while they are pregnant. How soon after my baby is born should we have our child baptized? Babies can be baptized as soon as they are born. What has traditionally occurred is that children are baptized within weeks of their birth. The Church encourages families to baptize their children as soon as possible. My child is over 7 years old, is it too late to baptize them? It is never too late to baptize your child. Children thru the age of 7 are baptized in the Infant Baptism program. Older children are taken thru the RCIA (Rite of Christian Initiation) process adapted for children. For more information, please contact the Director of RCIA, Deacon Frank Iovine 561-276-6892. Some family and friends have used the name “Christen.” Is that the same as baptism? Christening is another name for baptism. If a person has been baptized in another faith tradition where they use the Trinitarian formula of water and (in the name of the Father, and of the Son, and of the Holy Spirit) it is recognized as a valid baptism in the Catholic Church. Baptism wipes away original sin and leaves a perpetual mark on the soul. This can only be done once. Be sure and contact us as each individual situation may be different. Does the father of my baby need to be on the certificate if he is not part of her life? The Baptism Certificate need to reflect the same information that the Birth Certificate does. If the father is listed on the Birth Certificate, he must be listed on the Baptism Certificate. The role of a Godparent is to set a good Catholic example for your child and encourage your child in their faith journey. It is not an honorary title. Godparents serve a special role and must be selected carefully. It should be someone that lives their faith in accord with the teachings of the Catholic Church. Their role is an important one throughout your child’s life. Are there requirements/qualifications for Godparents? 1. A Godparent must be fully initiated in the Roman Catholic Church. This means they have received the Sacraments of Baptism, Eucharist and Confirmation. 3. They cannot be the parents of the child. 4. They cannot be bound by any canonical penalty. An example is that if they are married, they need to have been married in the Catholic Church or had a dispensation to get married outside the Catholic Church. They also cannot be cohabitating unless married. 5. They attend Mass on the weekends and Holy Days of obligation and regularly receive the Sacraments of Holy Communion and Reconciliation. This also means they are registered in a parish. How many Godparents can I have or do I need? You only need one Godparent. It doesn’t matter if it is male or female. If you choose two Godparents, then it needs to be a male and female that meet the requirements/qualifications for Godparents. You may not have more than that in the baptismal registry. What is a Christian Witness? If you have only one Godparent, you can name a baptized non-Catholic as a Christian Witness. This baptized witness is one that was baptized into a faith that shares our belief about the Trinitarian nature of God. This means they were baptized with water and the minister used the words “In the name of the Father, Son, and Holy Spirit.” You can call Deacon Frank Iovine at 561-276-6892 if you are unsure or have more questions. On the Baptism Certificate, next to the name of the witness you will see “witness” and not Godparent. The Christian Witness cannot be someone that was baptized Catholic but has not completed their Sacraments of Initiation. Can a divorced person be a Godparent? Yes, they can as long as they are in good standing with the Catholic Church. To be in good standing they cannot be remarried, or in a serious relationship, unless the previous marriage has been granted an annulment. Does a Godparent become the legal guardian if something happens to the parents? There is a difference between church and state. A Godparent agrees to guide your child in their faith journey. Parents, through a will or other legal means, appoint a “legal guardian” who would take care of your children if you should die. A proxy is someone that stands in for a Godparent that is unable to be present at the Baptism ceremony. The proxy will only be noted in the baptismal registry and not on the certificate. What if, later in our child’s life, the Godparents are no longer qualified as Godparents? Can we take them off the baptismal certificate? The certificate is a record of what took place so the information cannot be changed. You may wish to have some else support your child in their faith journey, but records do not change. When and where are Baptism Preparation classes held? The classes are held at the Parish Office, on the second Thursday of every month. The classes last approximately 90 minutes. To register, call 561-276-6892 and ask for Deacon Frank Iovine. It is important that both parents attend, even if one is not Catholic. Exceptions are made if there are custody issues or other concerns. Godparents are highly encouraged to attend classes too. Can we attend a class in another parish? You are asked to attend a class if you have not been in the past three years. If you attend class in another parish, you are asked to get a letter of attendance. You should bring your child you wish to have baptized. They should be dressed in white, representing purity. The Church provides the candle and the oil. No, there is no fee. Many people choose to give the priest or deacon a stipend as a token of appreciation, but it is voluntary and not required. How early do we need to arrive for the baptism? Baptisms are held the third Sunday of the month after the 11:30 am Mass. Families are encouraged to attend the 11:30 a.m. Mass as they will then be ready to celebrate the Sacrament of Baptism. If you are not attending Mass you should arrive at least ½ hour early for the baptism. Who can attend the baptism? Invite everyone! By bringing your child into the faith, you are modeling the Catholic faith to all in attendance. Bring family, friends, and neighbors. Can a grandparent schedule a baptism? Parents are the ones who must request sacraments for their children. We cannot baptize the child without the parent’s knowledge and participation. If we are adopting a child, when can we baptize? You can begin the preparation before the adoption has been completed by registering, selecting sponsor and attending the Baptism Preparation Class. Can I begin the process even though I have not delivered the baby yet? You bet! During pregnancy is the ideal time to take care of these details. We take all the baptism information that we can and, upon delivery, you call us with all the other information. If we are not members of St. Vincent Ferrer Church, can we have our child baptized in your parish? It is customary for each parish to handle sacraments for their own parishioners. If there is a just reason for having your child baptized at St. Vincent Ferrer, you will need to let the Deacon Frank Iovine know. You will then need to get a letter of permission from your home parish giving St. Vincent Ferrer parish permission to baptize your child. What do we need to do if we wish to have our child baptized in another parish? Contact the parish you wish to have your child baptized in to see their requirements. A letter can be obtained from St. Vincent Ferrer on behalf of the pastor, giving you permission to have your child baptized in another Catholic Church. You must be a parishioner in good standing. If we, as parents, do not meet all the requirements as expected of Godparents, can we still have our child baptized? Most definitely! At your child’s baptism, you are stating publicly that you will raise your child in the Catholic faith. You may want to contact the parish to see what you need to do, as parents, to be in right relationship with the Catholic Church. This may be completing your Sacraments of Initiation, finding out about annulments, or other issues. As your parish, we will do what we can to help. Please call Deacon Frank Iovine at 561-279-6892 to answer any questions or begin preparation for baptism. If you would like to register for Baptism, please complete the form below. PLEASE DO NOT schedule any date until approval is received from the pastor. 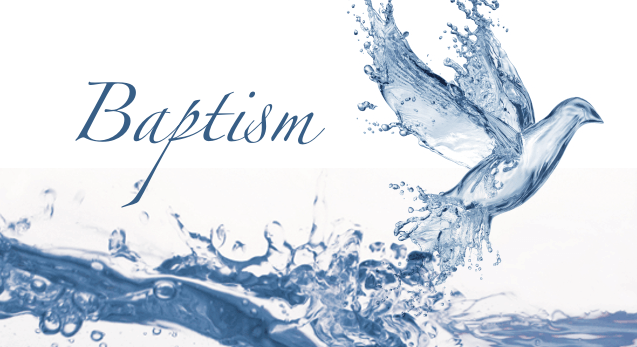 Click HERE to Register for Baptism.